If you’re collecting tickets from the circuit, you’ll need to head to the accreditation centre on the outside of the circuit on the west side. Circuit de Catalunya is located only 32 km from Barcelona, and 18 km from the Costa de Barcelona. It is very easy to get the train from the city of Barcelona to the circuit. Trains leave four times per hour during the week and two trains per hour on Saturdays, Sundays and holidays. It takes 30 minutes from the Barcelona Sants station, 25 minutes from Barcelona Pg. de Gràcia and 21 minutes from Barcelona El Clot-Aragó. 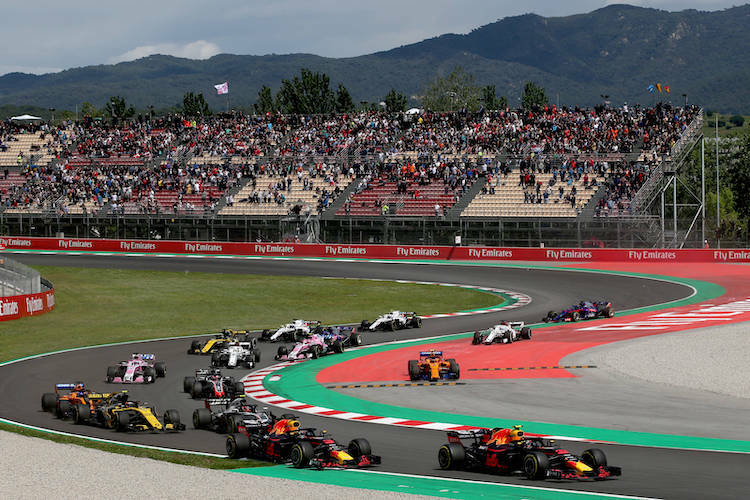 The closest stop to the circuit is Montmeló. It then takes about 30 minutes to walk to the circuit, which is heavily signposted. The Circuit is located between two major communication roads and can be easily reached by car. Follow the C-17 road (exit Montmeló), or the AP-7 highway. If you choose the AP-7 toll highway, you have several exits to reach the Circuit: 13, 14 and 15. Hi Diane, I think J is on the start/finish straight. Which has views across to the pits. Hi Sam, Grandstand A is in a great spot it’s amazing to see how fast the cars take this section of the track just after the main straight. From what I’ve seen of the stands you will be 6 rows from the front. Make sure to take some sun block and a hat, this stand is open-air. Hi Simon,where would you recommend sitting in the GA on the grass banks my son son is a little unsteady on his feet so somewhere we dont have to walk to far would be great. Hi Mark, The banks offer perfect viewing and also include some sleepers to sit on. Enter through Gate 7 and it’s less than 100 yards.